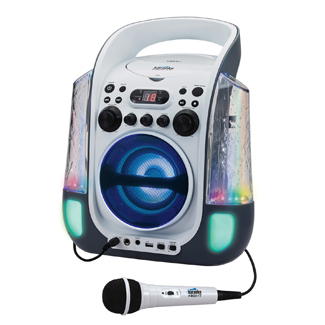 This beautifully designed karaoke machine has a light show beyond compare. An amazing dancing water LED light show in rhythm to the music plus flashing LED lights inside the speaker compartment and in the lower corners of the unit will dazzle your family and friends. 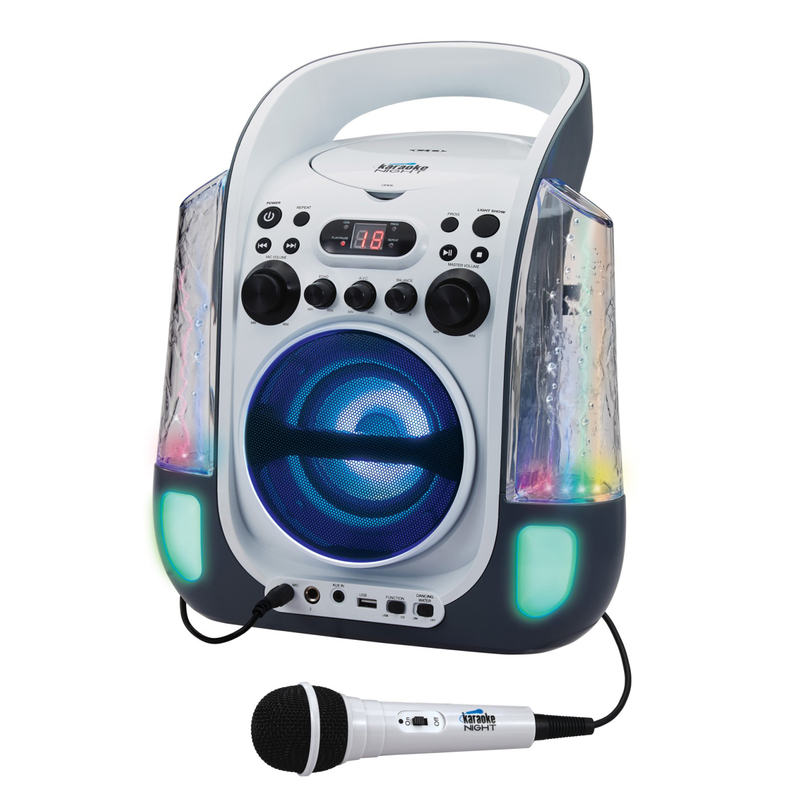 Plug this karaoke machine into any TV and watch the lyrics display on the screen thanks to the CD+G technology built in. This unit is feature-packed with aux-in jack to connect external audio devices, full range speaker and 4W of output power. There’s even a 20 track Karaoke Night CD+G demo disc featuring hit songs from well-known artists. Plus AC/DC operation: AC adapter included or 8 “C” batteries (not included). Purchase directly from Spectra by clicking here.